Minimally invasive techniques incorporating esthetic zone principles are becoming established practice in implant reconstruction. The restorative dentist and surgeon must have a team approach to patient analysis and treatment planning. The benefits for our patients are: improved esthetics, less discomfort, faster healing and eager acceptance. Can we provide this predictably and with long-term stability? Join the discussion of esthetic zone management on esthetic analysis and team treatment planning, immediate implant/provisional restoration, flapless surgery and atramatic extraction, minimally invasive bone grafting, sub-epithelial and pedicle connective tissue grafts, ridge expansion, Piezosurgery and avoiding complications. Minimally invasive techniques can have a steep learning curve. Using case presentations and live surgery, Dr. Cullum will demonstrate how these techniques can revolutionize the treatment your patients receive using a team approach to implant treatment. Dr. Cullum completed his DDS with distinction at the University of Alberta, Canada and residency training at Westchester Medical Center, New York. He is a diplomat of the American Board of Oral & Maxillofacial Surgery. Dr. Cullum has had the opportunity to speak at the national meetings of the American Association of Oral & Maxillofacial Surgeon, Academy of Osseointegration, American College of Oral & Maxillofacial Surgeons, American Academy of Prosthodontists, Cuban Society of Maxillofacial Surgeons, as well as many state and local meetings. He has contributed a textbook chapter on implant reconstruction and served in leadership roles at both state and local societies. 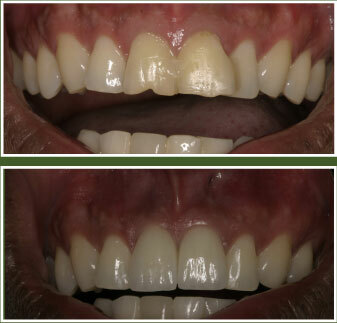 At Implants Northwest, he practices oral and maxillofacial surgery with an emphasis on immediate and minimally invasive techniques in esthetic implant reconstruction. Dr. Cullum is the President of Implants Northwest LIVE Learning Center. The Learning Center emphasizes training in advanced techniques for surgeon/restorative teams and an Implant Surgical continuum using LIVE surgery and hands-on application in a small group environment. This entry was posted by Dental Continuing Education on January 8, 2009 at 7:30 am under Bone Grafting, Implant Surgery. You can leave a response, or trackback from your own site. Follow any responses to this entry through the RSS 2.0 feed.